As of April 21, 2019 there are 10 ACTIVE condos for sale in Landmark at the Gardens with an average asking price of $912,690. The listing prices range from $490,000 to $3,250,000. These Landmark at the Gardens condos have an average price of $362 per square foot, based on listings with an average of 3 bedrooms, 3 bathrooms, and 2,518 square feet of living space. 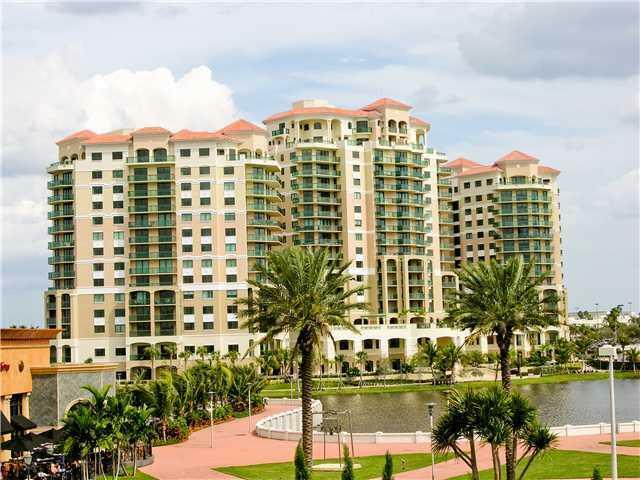 Search Landmark at the Gardens condos for sale in Palm Beach Gardens, Florida below. Palm Beach Gardens is filled with desirable condo developments, but when it comes to the quintessential upscale, maintenance-free lifestyle that so many of today’s home buyers crave, it doesn’t get much better than Landmark at the Gardens. For information about Landmark at the Gardens neighborhood properties for sale or to schedule a private condominium showing, contact your Palm Beach Gardens real estate experts today. Read more about Landmark at the Gardens real estate. Conveniently situated on Gardens Parkway, Landmark at the Gardens in Palm Beach Gardens, Florida offer an unparalleled sense of luxury, extravagance and glamour—all under one roof. The condo building itself houses only 116 condominium residences but is still among the most recognizable and iconic residential structures in all of Palm Beach Gardens. In addition to sitting on the water and boasting some of the best ocean views money can buy, Landmark at the Gardens also features some of the best building amenities and qualities you’ll find of any luxury Palm Beach Gardens condo development. Residents here enjoy all kinds of luxury resort-style amenities, which include valet parking, 24-hour door service and concierge, an elegant club-room with a bar/lounge space, a media room with theatre seating, a state-of-the-art exercise facility, and an expansive sun deck that’s perfect for those outdoor barbeques and large-scale entertaining. Landmark at the Gardens are also pet-friendly and additional bike and private-storage space is also available; but for more information about the fabulous real estate that’s offered here, start browsing the active MLS listings. Selling or buying a condo in Landmark at the Gardens soon? Call Snyder Real Estate Group at (561) 951-9301. Our community of Landmark at the Gardens real estate agents will help you navigate the Landmark at the Gardens Palm Beach Gardens, FL housing market. Thinking of buying or selling a condominium in Landmark at the Gardens? Let our team of local real estate professionals guide you through the purchase of your next condo, or skillfully negotiate the successful sale of your current Palm Beach Gardens property. As local Landmark at the Gardens real estate agents, we're experts on the Palm Beach Gardens housing market dynamics unique to Landmark at the Gardens real estate. Our team of professionals will get to work for you today! Contact Snyder Real Estate Group today to learn more about our exclusive buyer or seller representation strategies. Plan to sell your Landmark at the Gardens condominium soon? Visit our free condo evaluation tool - quickly price your Landmark at the Gardens condo online in moments!